Analyzes business processes and performs needs assessments in an effort to align information technology solutions with business initiatives. Interprets business needs and translates them into system requirements. Writes business specifications and forwards to technical staff for system development. Interprets systems specifications to develop, maintain and support automated business processes. Provides technical expertise in identifying, evaluating and developing systems and procedures that are cost effective and meet user requirements. Configures system settings and options, plans and executes acceptance testing, and creates specifications for systems to meet business requirements. Learns to use professional concepts. 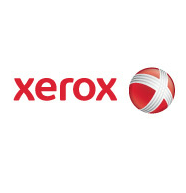 Xerox provides leading-edge document technology, services, software and genuine Xerox supplies for graphic communication and office printing environments of any size. Xerox also offers extensive business process outsourcing and IT outsourcing services, including data processing, HR benefits management, finance support, and customer relationship management services for commercial and government organizations worldwide.